This property is 2 minutes walk from the beach. 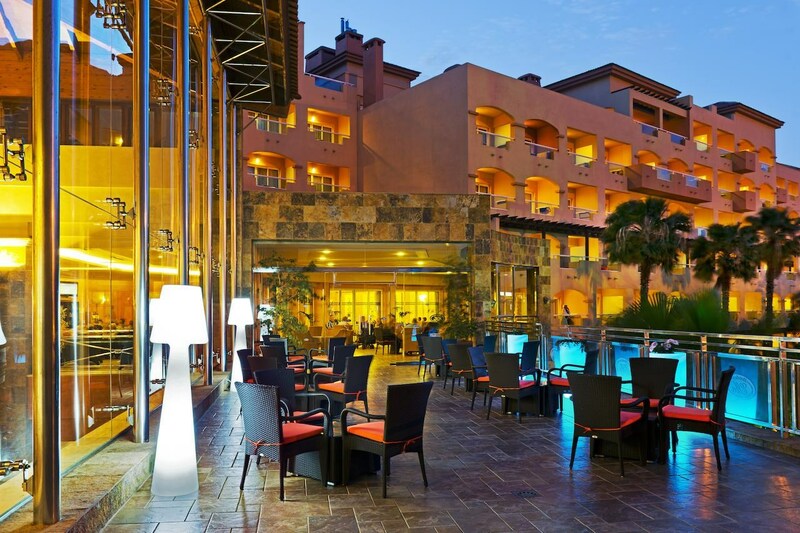 Located on Caleta de Fuste Beach in Fuerteventura, Hotel Elba Sara has an outdoor pool, tennis court and free parking nearby. 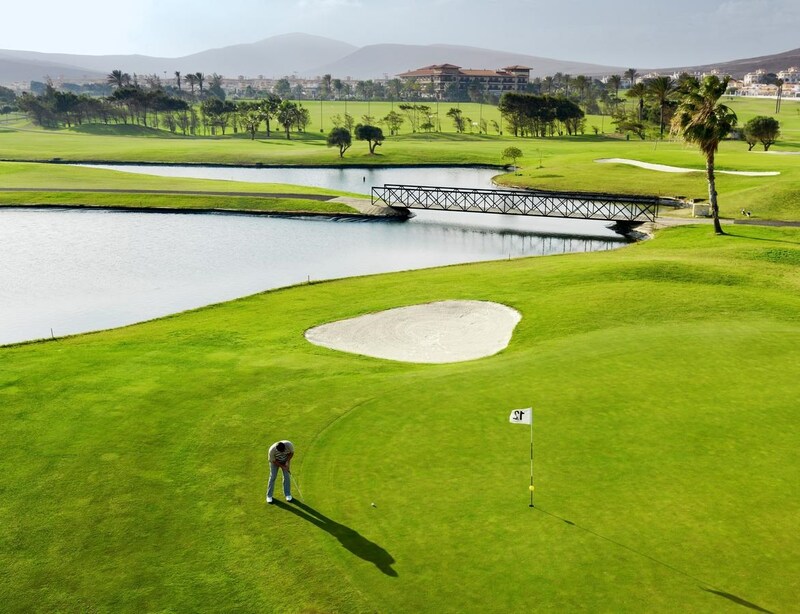 Fuerteventura Golf Course is a 10-minute drive away. 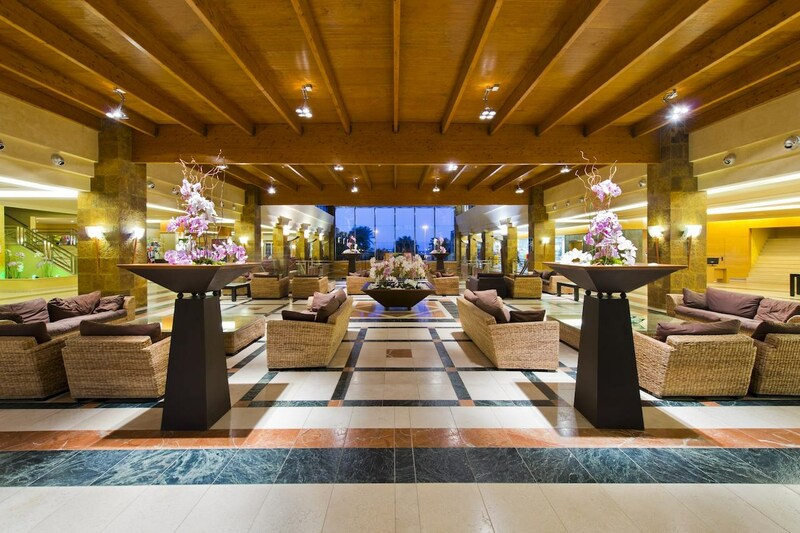 All air-conditioned rooms at the Elba Sara Beach & Golf Hotel have a private balcony, most with superb ocean views. There is a minibar, TV and private bathroom. 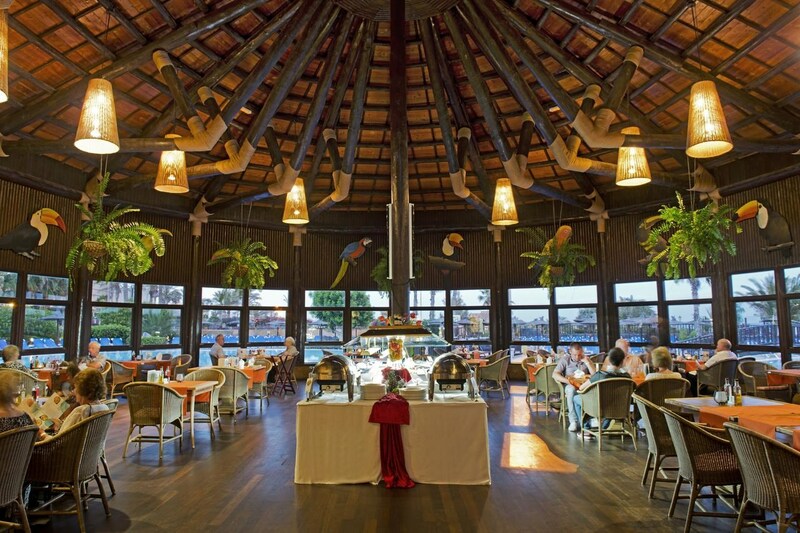 The hotel’s restaurant serves buffet meals, and has a terrace overlooking the Atlantic Ocean. There is also a poolside grill bar, and a snack bar at the beach. 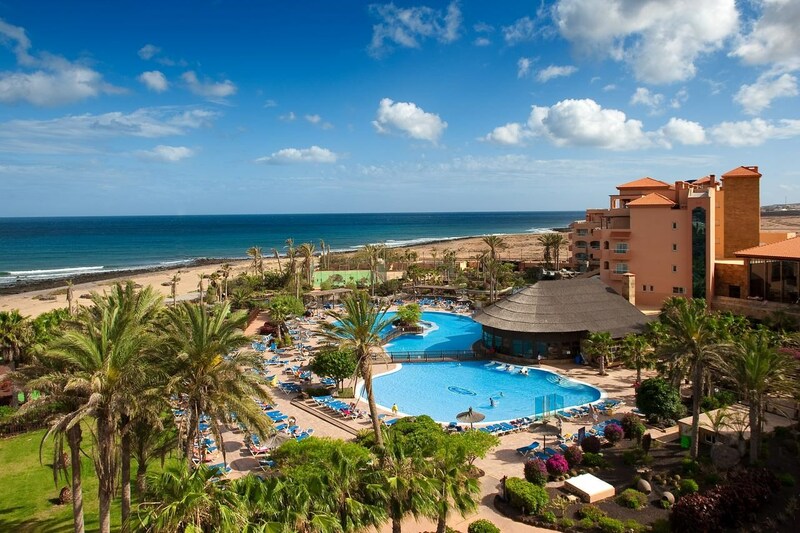 The Sara Beach & Golf Resort features a gym, hot tub and sauna. There is also mini golf, ping pong and a pool table. 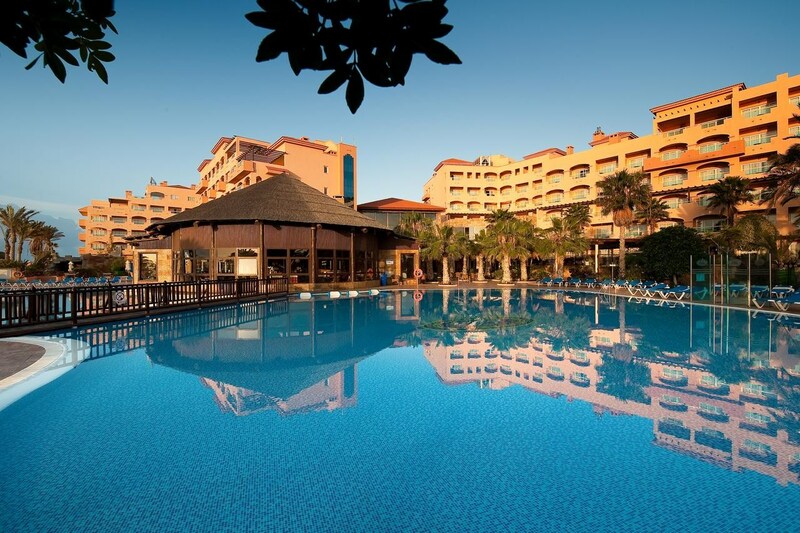 Children have a dedicated pool, play area and supervised activities club. 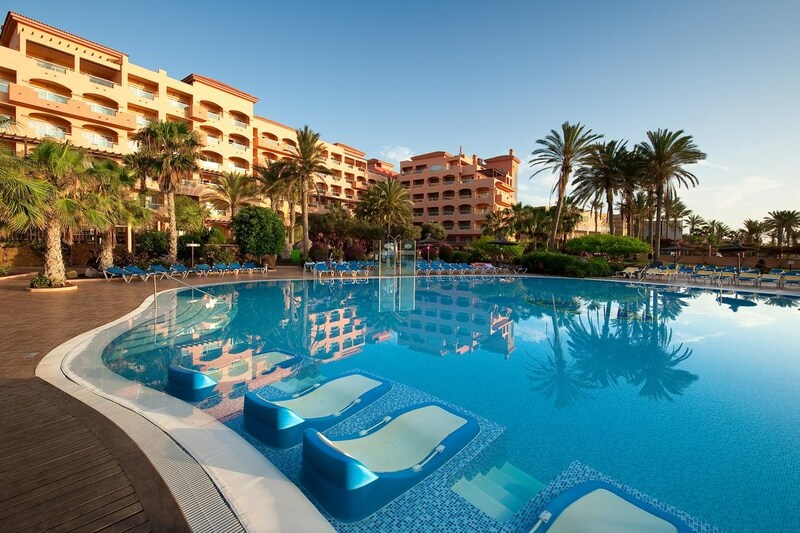 Fuerteventura Thalasso Spa is 450 yards from the hotel. 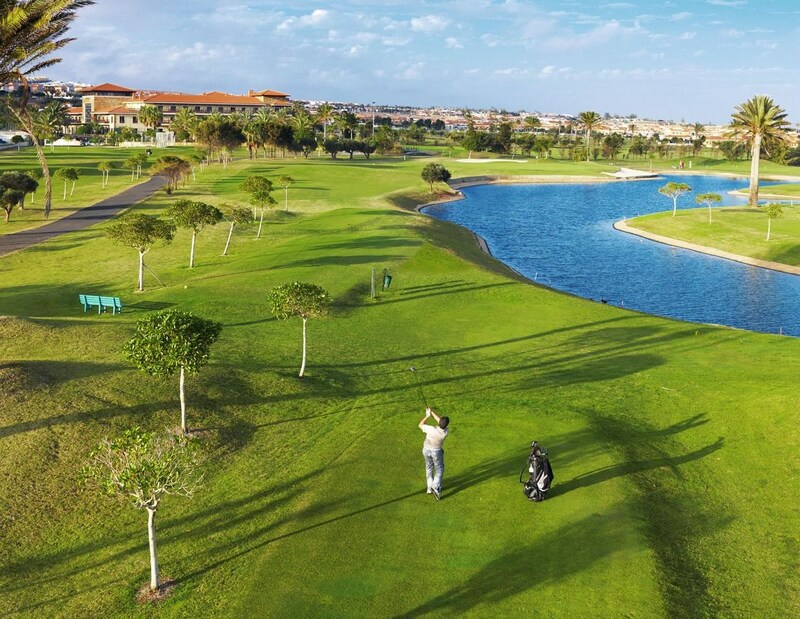 Located in Caleta de Fuste, this beachfront hotel is next to a golf course and within 2 mi (3 km) of Fuerteventura Golf Course and Caleta de Fuste Marina. Guests at this beach hotel will appreciate convenient on-site amenities such as a children's pool and a picnic area. 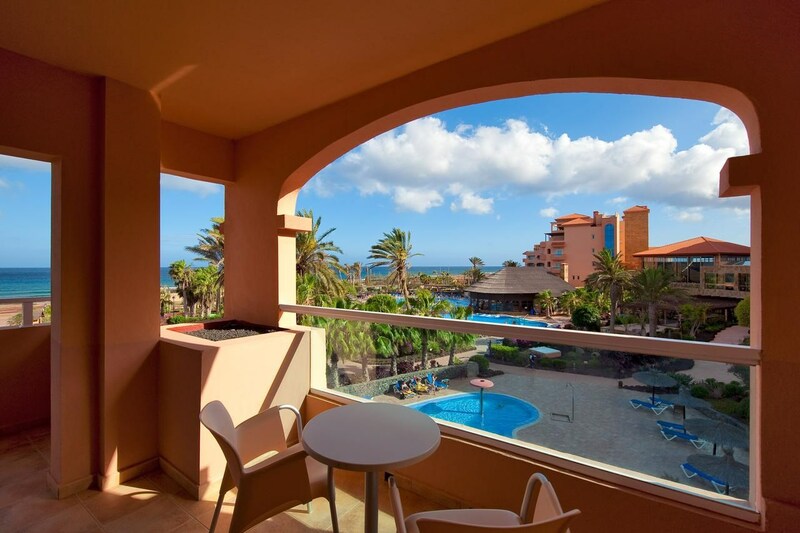 All 266 properties offer free WiFi, balconies and TVs with satellite channels. 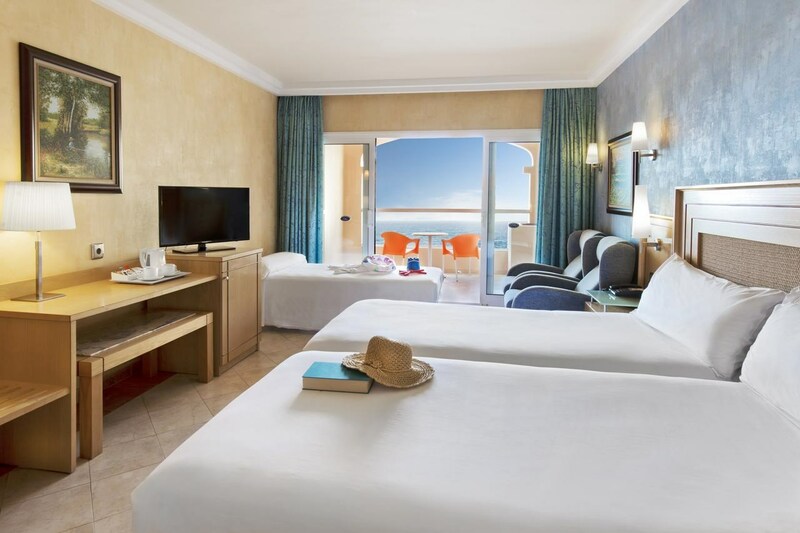 Minibars, room service (during limited hours) and hairdryers are among the other amenities available to guests.